Three thrilling tales from one of the masters of frontier fiction! In Paradise Al,” Brand tells the first of two stories about Paradise Al, a drifter and rambler who has been riding the rails when he jumps off a passenger train just outside of town. He’s caught and thrown in jail, but his resemblance to the Pendletons, a local family, gets him out. Suddenly Al is caught in the middle of the Pendletons’ long-standing feud with the Draytons, another local clan that has a wild, untamed stallion and has boasted it will give the horse to anyone who can ride him. Paradise Al, clearly a novice when it comes to horses, takes up the challenge, with two conditions: he gets to keep the horse on the Pendleton Ranch for a week and he gets to marry young Molly Drayton. Paradise Al’s Confession” is another chapter in the saga of Paradise Al, masquerading as Al Pendleton. He’s now planning on marrying Molly Drayton and is busy at work starting up a ranch when an unexpected visitor arrives and threatens to pull the rug out from under Al and his entire charade. 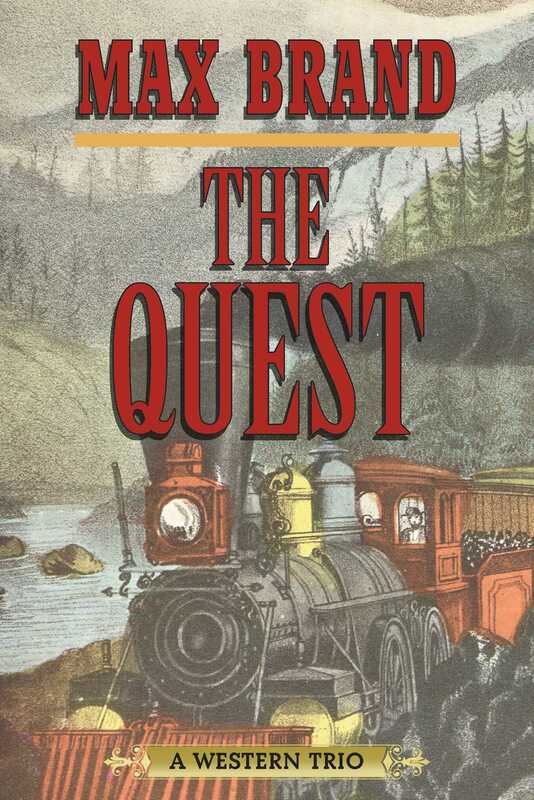 In The Quest,” Barney Dwyer is a social outcast with more brawn than brains who has yet to find his place in the world. Dwyer works on Daniel Peary’s ranch, and when he unintentionally breaks one of Peary’s tools, he’s fired. But Peary decides to give Dwyer an opportunity to get his job backhe tells Dwyer to track down Peary’s estranged son Len and bring him home. Dwyer accepts, but has no idea what an impossible task he is about to embark on. Skyhorse Publishing is proud to publish a broad range of books for readers interested in fiction that takes place in the old West. Westernsbooks about outlaws, sheriffs, chiefs and warriors, cowboys and Indiansare a genre in which we publish regularly. Our list includes international bestselling authors like Zane Gray and Louis L’Amour, and many more. While not every title we publish becomes a New York Times bestseller or a national bestseller, we are committed to books on subjects that are sometimes overlooked and to authors whose work might not otherwise find a home.